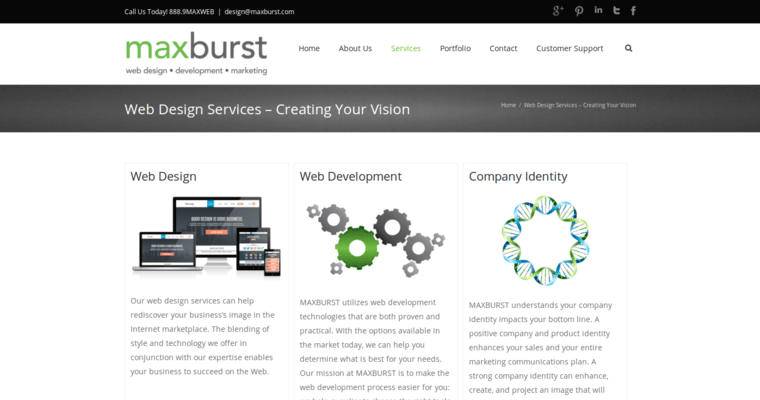 Maxburst does website design, development and marketing work for a wide spectrum of clients looking to increase their online visibility. Furthermore, websites that are compatible with the largest search engines on the web and content management systems ensure that clients can get spotted by customers and make ongoing changes of their own down the road. Website development at Maxburst draws heavily on AJAX and LAMP architecture on the backend to ensure a smooth webgoing experience for every potential customer. 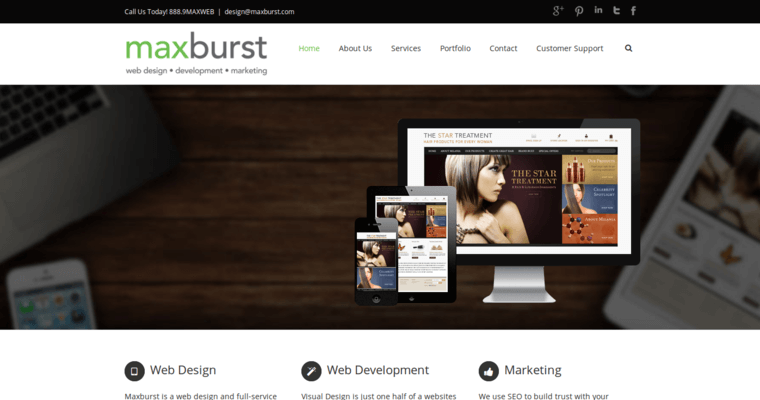 It should be noted, though, that customized websites at Maxburst coordinate design, hosting and online marketing with the client's needs. 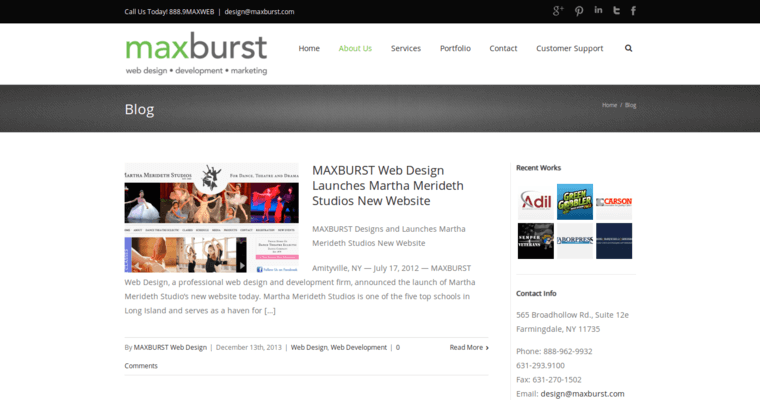 Corporate identity design is another way in which Maxburst can launch clients into the stratosphere. Social media marketing and search engine optimization also helps clients get recognized by prospects on an increasingly competitive online battlefield. Clients looking for affordable and reliable web hosting also need not look any further than Maxburst.